Before this place was Google-sought, before fame beset these grounds, a then uncelebrated bassist secured this rural domicile as a double-dirt-road redoubt for one fame-weary nascent family-man songwriter of global repute & his collaborators in song. Your owner-hosts offer this virtual-portal of now to the pine-shrouded deep locus of so many folks' particular and individual memory resonances of special times, in their respected lives. 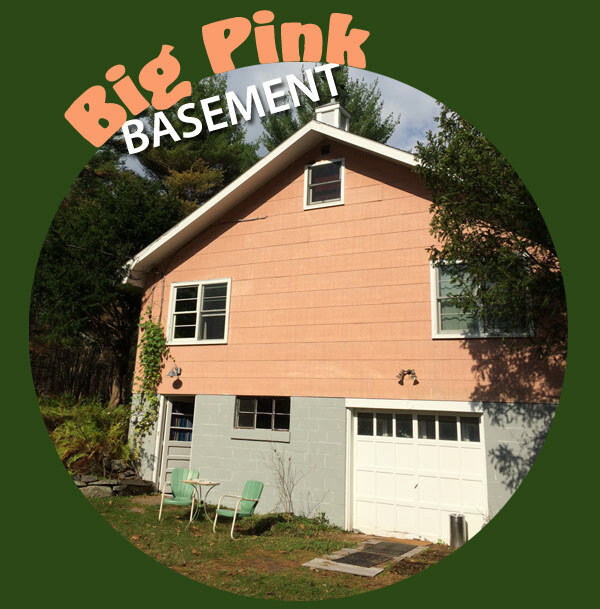 Welcome to the owner authorized Big Pink site.